All case parts, baseboard, piece bases, coil formers etc will be cut and engraved ready to use but will probably need sanding to remove loose material and tidy up visible edges – in the case of the piece bases they will need further sanding to remove machining marks. I actually didn’t bother too much with this, which produced the ‘woodgrain’ effect on some pieces. You’ll need to finish the board top and piece bases with engravers wax, filler or paint for whatever effect and colours you want. All electronic components, enamelled wire and solder will be included and one square on the main board and one piece base PCB will be ready assembled and tested, giving you a chance to see one piece working before you start and provide something which can be used to test/compare against the other parts you assemble. All the Brass nuts, bolts and thumb nuts are included though I may replace the dome nuts with thumbnuts. I’ll include enough parts in total to build about 34 piece bases and 66 squares (including the assembled ones), just in case of mistakes. The board doesn’t include feet but I may include them by the time the kits are ready. The thicker case components will be made fron NOS Tufnol estimated to be from the 1960-70s and is limited in supply. The thinner laminate and PCBs will be supplied by local companies. The electronic components will be purchased from RS or Farnell (Newark) and the brass thumbnuts have to be ordered from the USA. The displays if needed will have to be bought from the usual suppliers (I have enough here for a few boards) and the actual machining of parts will be done by myself so this isn’t going to be an ‘off the shelf’ product and will probably be made to order so I’m not left with unwanted stock. This is not a project for beginners – it makes extensive use of surface mount components. The circuits are not complicated and are laid out with plenty of space between parts where possible but you will still need to be confident soldering small parts. The main PCB is almost 15×15″ and as only 10-20 will probably ever be made I’ll be machining them myself. They won’t have any solder resist or component legend though the assembled square should be easy to copy and photographic instructions will be supplied for all stages of construction. Expect to spend up to a week of your spare time on it depending on experience and patience. Postage will be charged at cost – for international orders it won’t be cheap but if you know of a cheaper service or can arrange collection by your own courier I’ll be happy to help arrange it. The total weight including packing materials will be about 4kg (9 pounds). If you’re still interested after that lot they’ll be listed on the bay of Fleas shortly, I’ll update this post once ready. There will also be one complete set for sale as I’ll have to build one from the kit to prepare the photographs for assembly instructions. I am interested in a kit. Any rough idea of the cost? Will this be shipped from the U.K.? Thanks in advance. I’m still working out the total cost as some of the parts used were bought over a number of months, once I have all the prices I’ll update this post. It’ll be sent from the UK using a courier such as DHL or UPS as it’s too heavy for Royal mail packets and I’d prefer to use a tracked service. The tubes used are 24x IN-7 and 8x IN-7A, it’s possible to use all IN-7 but the Rook and Knight symbols are nearer the top in the IN-7A displays so look slightly better. 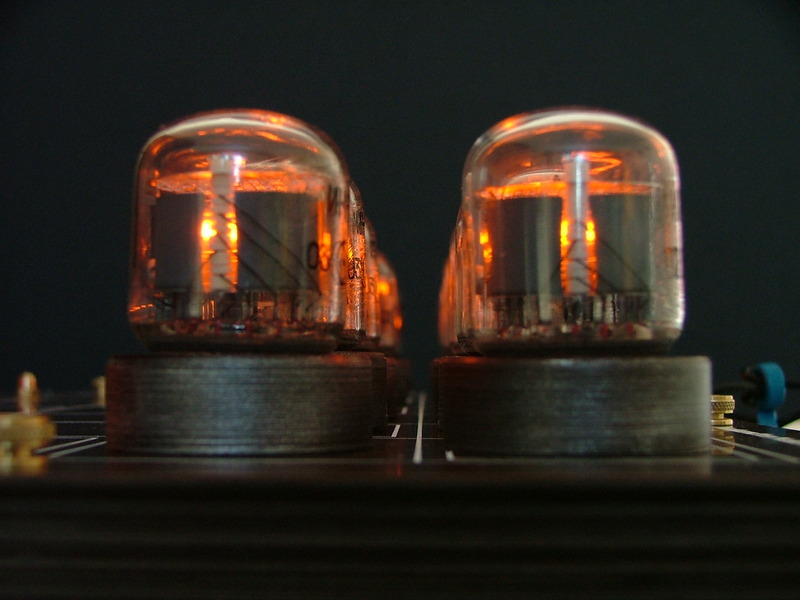 One more question…what Nixie tube are you using? Thanks again. If this isn’t being too pushy, would it be possible to be put down on the list for the kit? I suspect there might be several people wanting one, and I am simply stunned by how nice your set looks. (err.. nothing sexual meant by that). Excellent work! I am definitely interested. Please let me know by email when you will have additional details and pricing. Thank you! Im interested! i hope its not to expensive!!! email me when you have availability and pricing! Please put me On your mailing list. I have been looking for a really unique chess set. I play on average ten games a week. My buddies (who I have already emailed about this) will have there minds blown if I can get one (afford it). I am very interested in buying one of your kits in the future. Please provide any info you can soon!! Good job on this project. Very nice. Hey Tony, Definitely interested! Will check back for price, beautiful work! Pingback: Nixie tube chess-set kits | It's like, Really? A wonderful project…please let me know as to price. Sign me up for a kit. This is amazing! 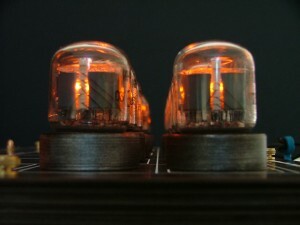 I’m interested as well – this combines two things I love – chess and nixie tubes! Pingback: Nixie Tube Chess Set Is as Tough to Read as Kasparov [Video] | GameBooze – Bottoms up! Aggregated gaming news, guides, cheats and fixes to quench your gaming needs. Also definitely interested in purchasing a kit. Truly, a work of great beauty and ingenuity. I’d be honored to display one in my home, and even more happy to play chess with such an evocatively designed set. Well done! Fantastic idea for use of a nixie tube. Already drooling about building this kit. Ultimately, I think I will also build a table so that the set can lie embedded on the surface. Have an idea about having depressions on the surface of the table around the chess set to hold the nixie tubes that are not in play. Can also hide the power source and wires under the table surface. I also responded in the “update” post, but I’d like a full kit. Get me on the list, please. Very interestimg!! I’m most intrigued by how the nixies are powered. I suspect by means of an inductive connection to the chessboard. Is there any power source within the chess pieces? Can you please advise me by email when possible of the cost of your chessboard kit and an estimate of the delivery date. OMG ! Need one ! Yep, count me in please! I’d be very interested in this if you ever get it off the ground. wow! I would be very interested in one of these kits, put me down on the waiting list please! Might also use the Russian IN-15A/IN15B tubes for more options than just the IN-7/IN-7A/IN-7B. One side could be the IN-7 the other IN-15..